Melt Café is a sophisticated all-day-dining experience, where cultures and cuisines mingle. 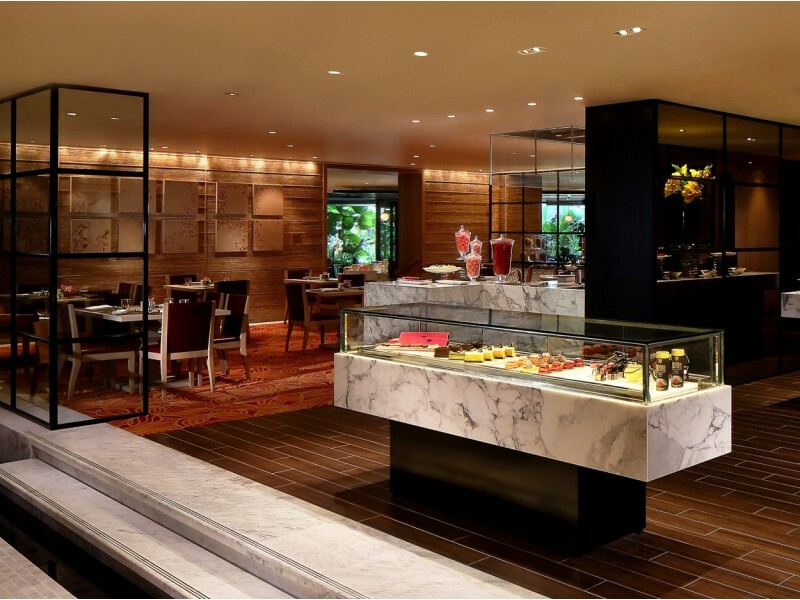 The restaurant presents guests with contemporary and stylish interiors, where a delightful patisserie counter takes centre stage. Known for its extensive buffet presentations, the restaurant has a variety of stations to tempt diners. The main dining space is filled with light, which comes from the floor to ceiling windows and provides a welcoming ambience. Here diners will find a roast and carving corner, as well as the ever popular live gourmet stations, together with the European and Asian spreads. Guests can also dine alfresco during dinner, amidst lush greenery, while enjoying a delicious barbecue. Indoors, the award-winning pastry theatre provides for the perfect finale.